Wow. Totally honored. And humbled. Can’t believe fetch happy was picked from more than 400,000 other blogs to be featured on Freshly Pressed at WordPress.com. I got so many amazing likes, subscribes, messages, shares and comments. Thanks so much to everyone for all of the support and to the WordPress editors for this honor. 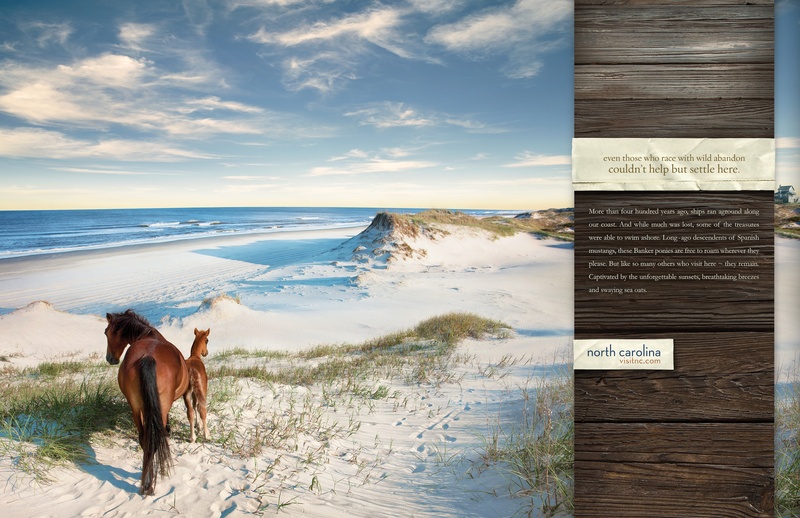 Seeing the wild horses of North Carolina was truly magical. And I’m so glad I got to share my experience. It began as just an idea, some words and then a sketch. But it became an unforgettable epic adventure that I hope many others can experience. 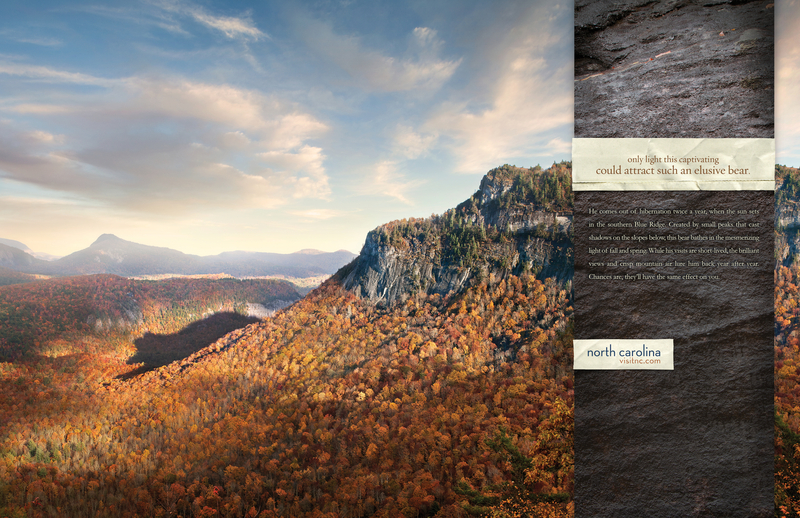 Below are the finished print ads that I wrote and concepted along with an incredible team at LGA. 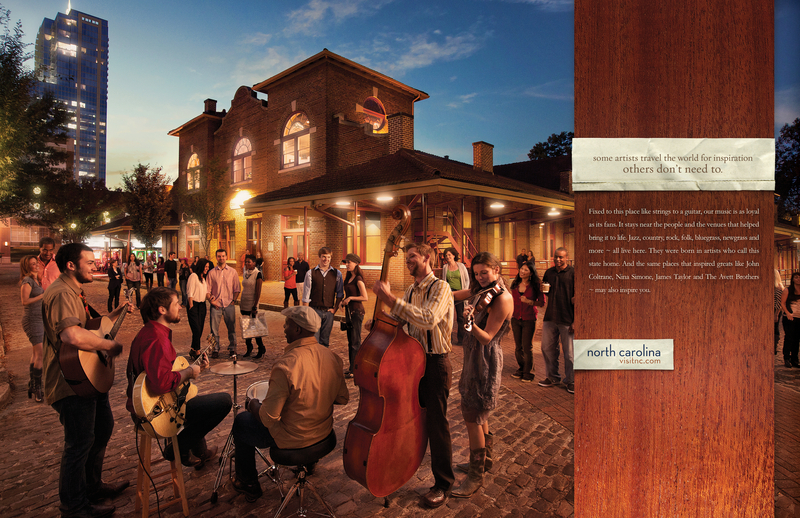 I was honored to be a part of it and to get to work with such an amazing client like North Carolina Tourism. 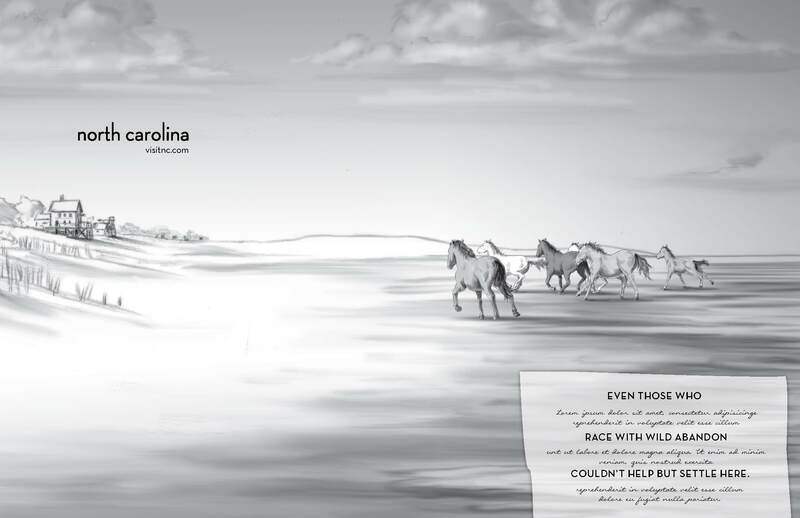 Credits are below along with two other ads that appeared in the print campaign. If you click on the image – you can see a larger version and read the copy.